What is the importance of business card for a beauty salon? Although your salon already has a social media account, but that does not mean then leaving the business card just like that. Business cards though have a fairly small size but have important functions that can not be overlooked. Evidently, various forms of business card can complement other promotional media that you have managed digitally. Business cards themselves fall into two categories. The first is a business card that features salon’s profiles such as addresses, phone numbers, or social media accounts. Secondly, corporate business cards which are more detailed and personal. For example, your salon manager who often meets with many people or other salon employees who play an important role in the company. On the salon employee's business card there are names of the staff along with their job position which are accompanied also with personal contact. Next, let us refer to the function and purpose of business cards for your salon business continuity. As a salon business owner, you certainly have many opportunities to meet new people. The person you meet may be a prospective acquaintance that may establish a business relationship with you in the future. This is the time when business cards play its vital roles. Also pay attention to the selection of business card materials and designs that look elegant and professional. When you give a business card to someone else, then you actually have put trust in that person who may be a reliable business partner. This, of course, gives the impression that you are a true businessman who is always ready in every opportunity. That also means showing your level of professionalism. Imagine if someone important asked for your contact but you did not bring a business card? The presence of social media on the internet is very useful for businesspeople like you in running a business. However, two-way communication of social media is actually more likely to be impersonal. To establish a closer, more humane, face-to-face contact with the consumer is essential. When consumers visit your salon, it means you have a face-to-face communication that is more humanist than in social media. The existence of business cards can add a real impression and strengthen your salon’s existence. This is what you do not get when you rely solely on the internet. As a salon owner or manager, you certainly do not just give your personal information such as mobile phone numbers for example to somebody you might not know yet. Only through business cards you can share your personal contact with others. And, it would be nice if you share that personal information only to people who are considered to be able to provide long-term benefits. For example, give business cards to business relations or prospective partners who can cooperate with you. Often, you get an unexpected business opportunity or a new client coming to the salon and it could be of the shared business cards. Business cards are not limited to displaying logos, company taglines, addresses or phone numbers only. Conversely, there are many benefits that we can get from a business card. To further maximize business cards, you can add vouchers to the business card section. The front of business card displays your salon information, then the back or other side can be converted into a treatment voucher. In addition, business cards can also display information social media accounts that exist so that consumers can follow later on. Sometimes, consumers who know the location of your salon do not know yet your social media account. 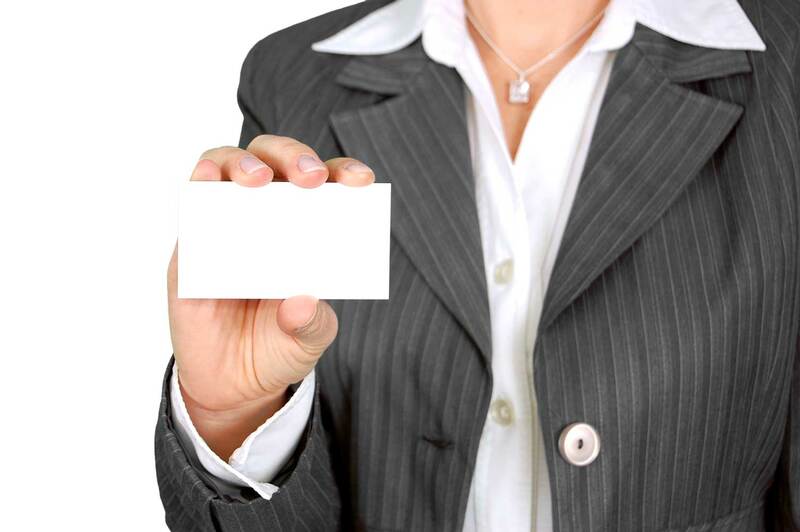 Business cards may be personal or corporational. To complete the reception desk, it is recommended that your salon provides business cards that can be easily taken by the consumer. However, business cards are not limited only as a complement. Business cards can serve as promotional media by displaying unique and interesting designs. Business cards that are designed in an attractive and aesthetic way certainly have added value that can increase salon’s positive image. A Good card design can be seen from the selection of harmonious colors which is in accordance with the corporate identity, the use of fonts which are simple and easy to read or the use of high quality images. All of those things may not have a direct impact on sales but have a positive effect in the long run.